How do I join a group as a student? You can sign up for a group in your course if your instructor has enabled the self sign-up option. 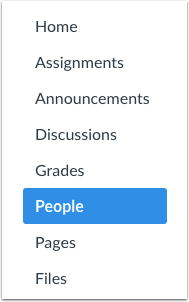 To access your User Groups, click the Groups tab . You can also access your User Groups through the Options menu. Click the Options icon  and click the View User Groups link . Next to the name of an available group, click the Join link. A message appears at the top of your browser verifying you signed up for the group. Previous Topic:How do I view my Canvas groups as a student? Next Topic:How do I leave a group as a student? Table of Contents > People and Groups > How do I join a group as a student? Re: How can students make their own groups, that are different for different assignments? Re: As a student, how do I add members to or delete a group? 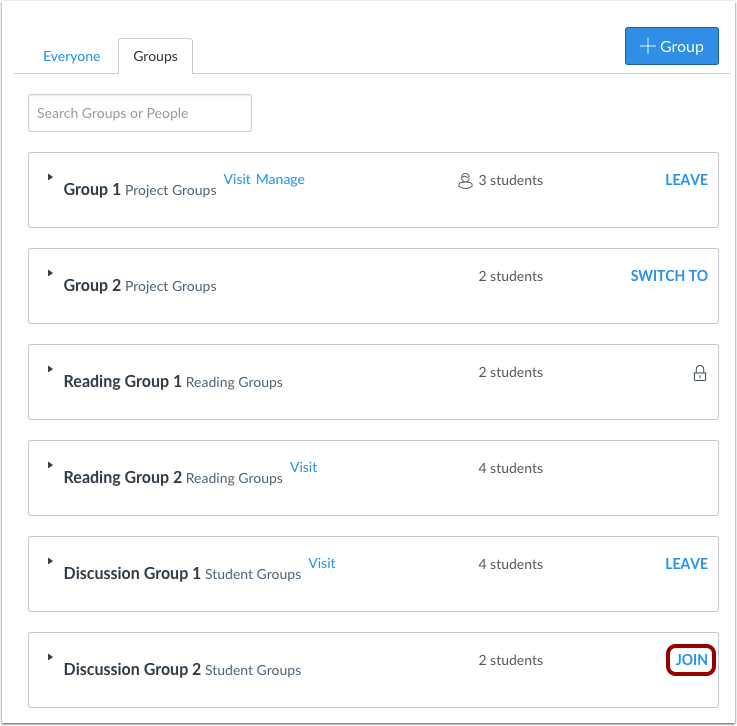 Re: Why can't students see the list of groups available to join for self sign-up?